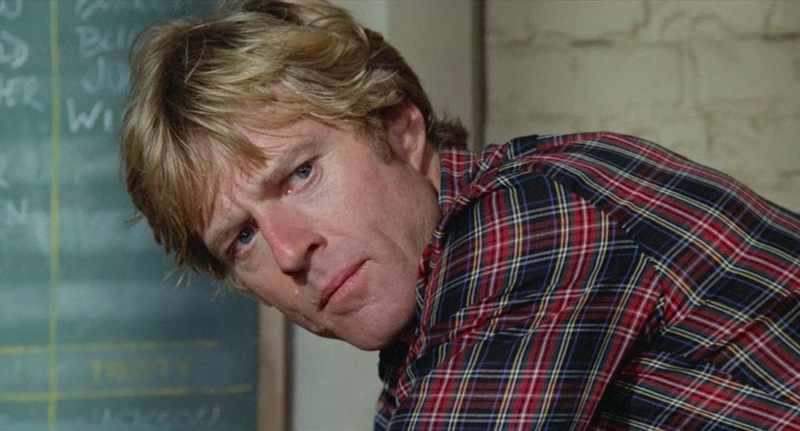 The role of no-nonsense prison warden Henry Brubaker would be Redford’s last on-screen performance until stepping behind the plate for The Natural four years later. 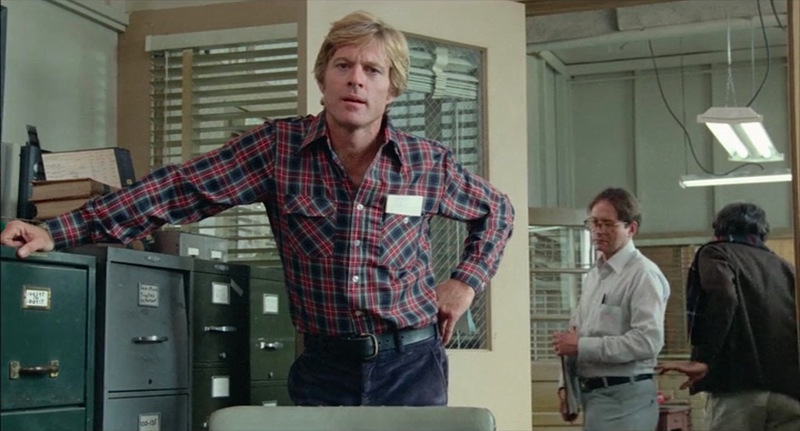 After Brubaker’s first appearance in civilian clothes, wearing a Black Watch plaid flannel shirt, chore coat, and corduroys, we catch up with the warden as he handles some administrative duties. One of the first is a visit from crooked C.P. 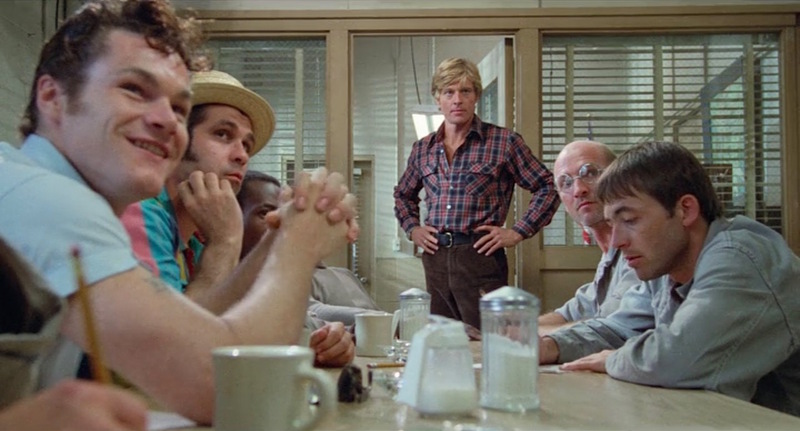 Woodward (M. Emmet Walsh), who isn’t used to the new honest way of conducting business at Wakefield as Brubaker negotiates with him for a new roof. 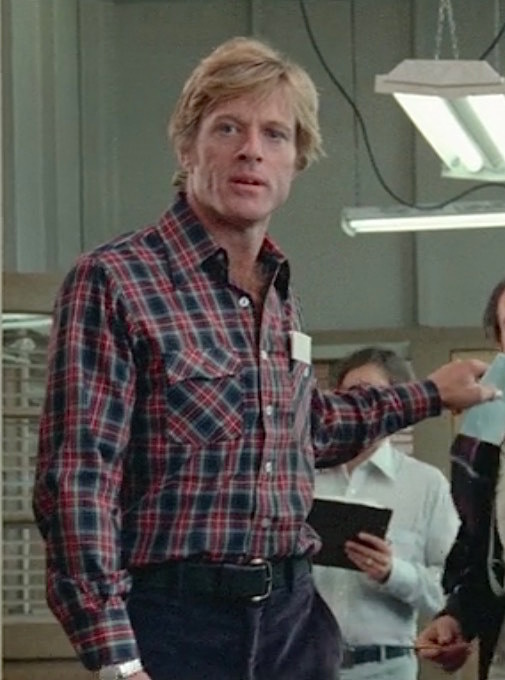 Brubaker’s plaid shirt pattern is made up of at least six different colors. The shirt has a large point collar as was fashionable from the end of the 1960s through the following decade. 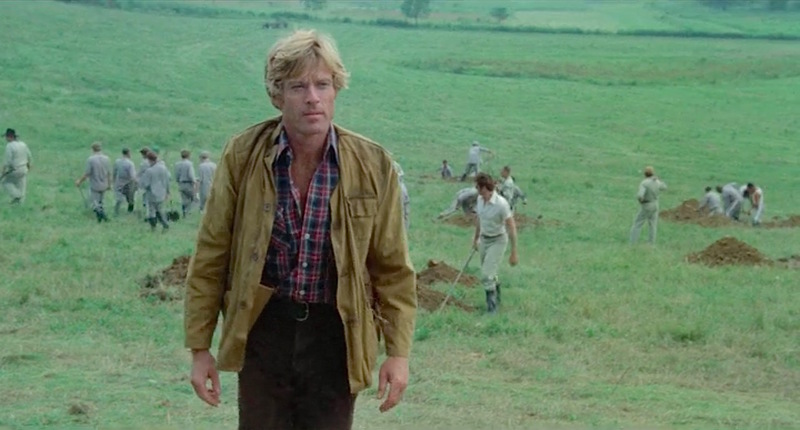 Redford wears the shirt with the top few buttons undone and the rest of the clear plastic buttons fastened down the front placket. Each cuff also closes with a single clear plastic button. The shirt has two chest pockets that each close with a slightly pointed flap that buttons through the center. Brubaker takes an immediate stand to corrupt bureaucracy. Dressed as such, he looks far more a man of the people with the common good in mind. Brubaker cycles through two pairs of corduroy trousers – one in navy blue and the other in dark brown – with his dressed-down civilian attire, worn with a thick black leather belt that has a large brass single-prong buckle through the pants’ tall belt loops. Both pairs are made from a standard wale cotton corduroy cloth and have side pockets that slant inward toward the waist, jetted back pockets, and slightly flared plain-hemmed bottoms. Brubaker’s daily footwear is a pair of russet brown leather work boots with derby-style open lacing. When he oversees the digging in the prison yards, Brubaker re-dons his earlier seen tan chore coat and black knee-high boots. The waxed cotton four-button coat has an olive pinwale collar, set-in sleeves, and three flapped patch pockets: one on his left breast and two larger ones on his hips. An advantage to Brubaker’s casual everyday clothing is that he doesn’t need to change when putting on work outerwear for a day digging up the grounds. Briefly, just briefly, Brubaker wears a dirty white straw cowboy hat with a slim black band while kicking back in his quarters. 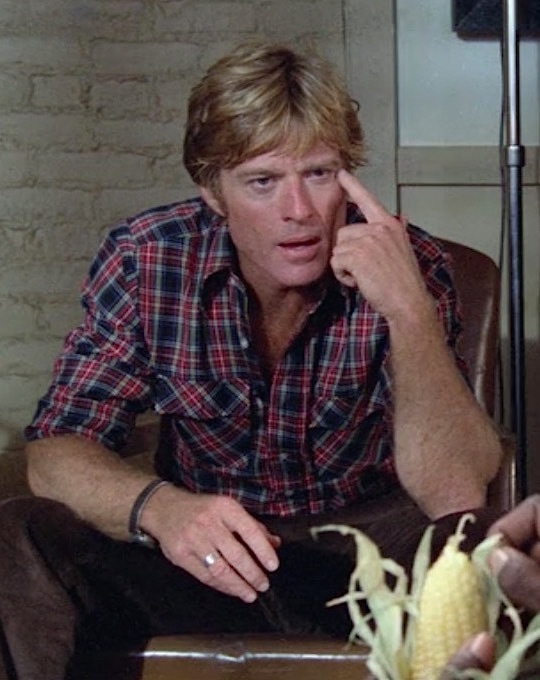 Robert Redford often wore a Rolex Submariner in his real life throughout the 1970s, though a simpler steel wristwatch with a plain round dial was chosen for his role in Brubaker. He wears the watch on a steel bracelet around his right wrist. 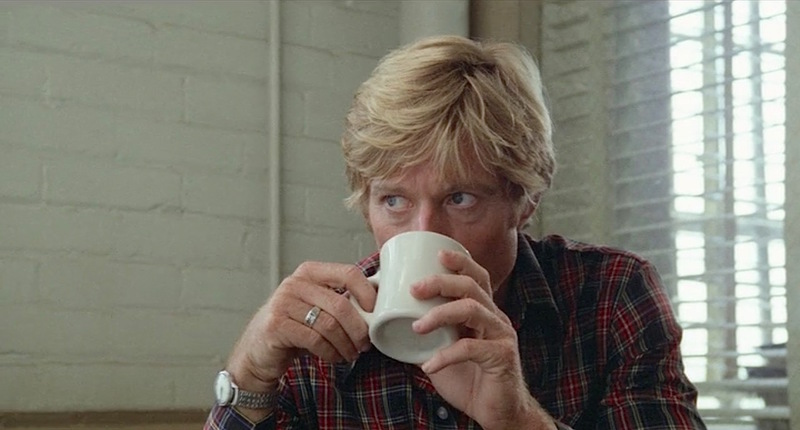 Don’t talk to Henry Brubaker until he’s had his coffee. Though he doesn’t have a writ for a rat on hand, Brubaker echoes John Wayne’s iconic gesture in True Grit by drawing his revolver on a rat. 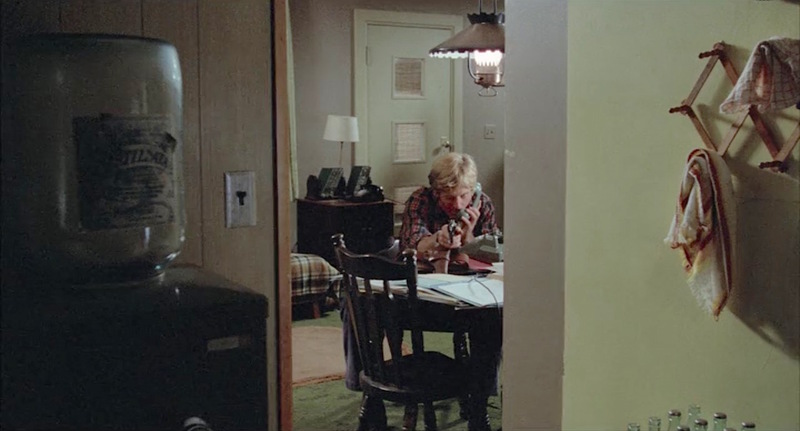 While Duke’s Rooster Cogburn may have waylaid his rat with a single-action .45 revolver, Brubaker carries a more modernized weapon in the form of a Smith & Wesson Model 10 revolver that he had evidently inherited from the previous warden. As True Grit was released in June 1969, it’s more than likely that Brubaker would be familiar with the scene… though he could have also read Charles Portis’ book from the previous year. Smith & Wesson first introduced its .38-caliber Military & Police revolver in 1899, and it quickly gained favor as a service revolver for American police departments and peace officers for its reliable mechanism and ability to chamber the new and powerful .38 Special cartridge. Five decades later, Smith & Wesson standardized the nomenclature of its models and the Military & Police became the Model 10. With production figures at 6,000,000 and growing, the Smith & Wesson Model 10 earned its standing as the most popular centerfire revolver of the 20th century. A classic example of the double-action revolver, the Smith & Wesson Model 10 is still produced today more than a century after its introduction in a variety of barrel lengths, weights, and finishes, though Brubaker’s revolver is the quintessential police six-shooter with its blue steel finish and 4″ barrel. 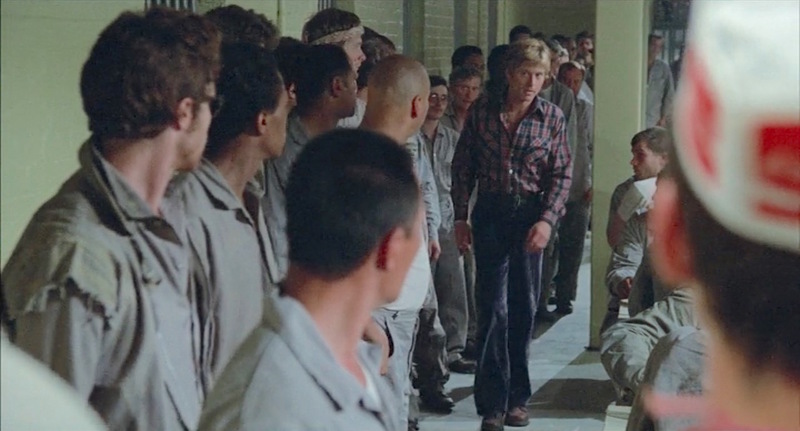 Although Brubaker is set in 1969 as it was based on the experiences of former prison administrator Thomas O. Murton, who also served as technical adviser, the film’s fashions are contemporary to the time of its production in late 1979 and early 1980. Four decades later, Brubaker’s go-to casual ensemble of a plaid long-sleeved shirt, corduroy trousers, and work boots remains ruggedly fashionable. 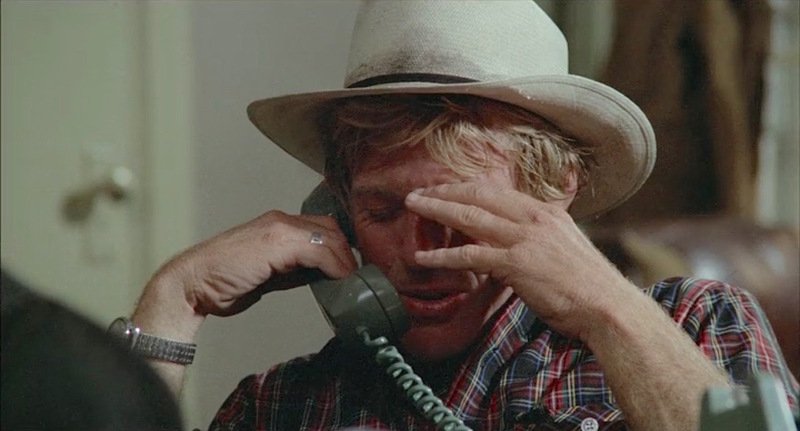 Brubaker was directed by Stuart Rosenberg, who had made his major studio debut 13 years prior helming the classic prison flick Cool Hand Luke… starring Robert Redford’s pal and occasional co-star Paul Newman. If your looking for a shirt in that pattern, I’m pretty sure the tartan is called Stewart Black.